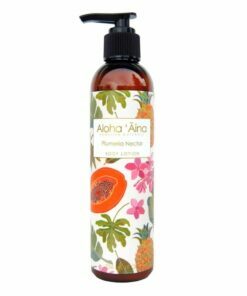 Paraben-free Mango Body Lotion with Aloe Vera, Green Tea antioxidants and tropical Avocado Oil which absorbs quickly to help replenish and protect skin against dehydration for a soft, healthy, luminous complexion. Formulated with extracts of chamomile, cucumber and gotu kola, blended with golden jojoba oil and vitamin E for superior hydration. 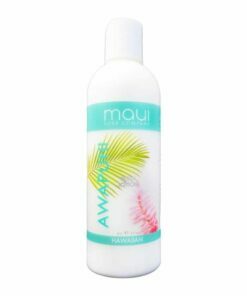 •Perfect for all skin types, pH balanced. Mango Body Lotion is a luxuriously scented, intensive body moisturizer with a rich, anti-aging, nourishing formula that melts beautifully into skin. 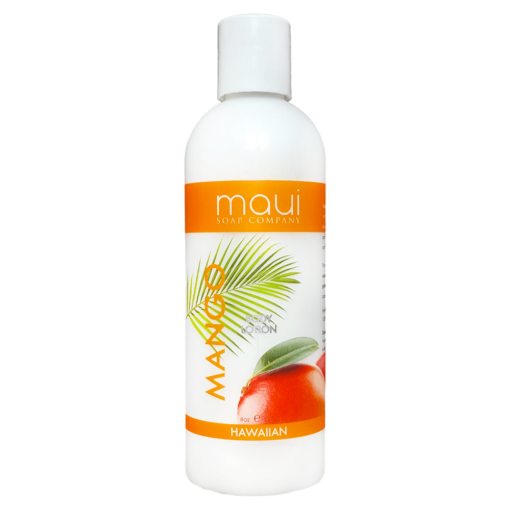 Mango Body Lotion provides lasting hydration as well as repair. 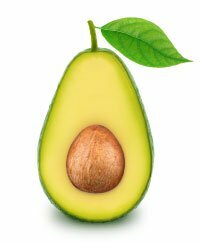 Made with 98% natural and 70% certified organic ingredients. Directions for Use: All over body moisturizer. Use generously. 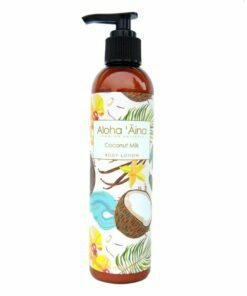 Body Lotion – Pikake with Aloe, Avocado Oil, Cucumber & Vitamin E – Maui Soap Co. 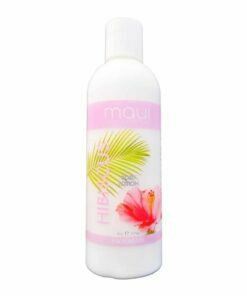 Body Lotion – Hibiscus with Aloe, Avocado Oil, Cucumber & Vitamin E – Maui Soap Co. Body Lotion – Plumeria with Aloe, Avocado Oil, Cucumber & Vitamin E – Maui Soap Co.